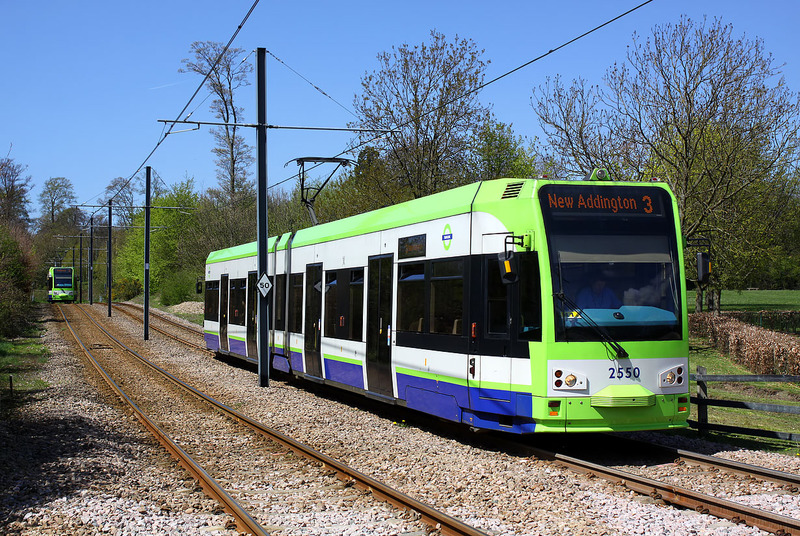 Croydon Tramlink 2550 slows for the ninety degree bend on the approach to Addington, as it works the 12:15 Wimbledon to New Addington on 1 May 2013. Sister unit 2548 can be seen heading off into the distance towards Wimbledon. Interestingly, the numbering system for these trams carries on directly from London's previous trams, despite these having all been withdrawn in 1952! The CR4000s are numbered 2530 to 2553.